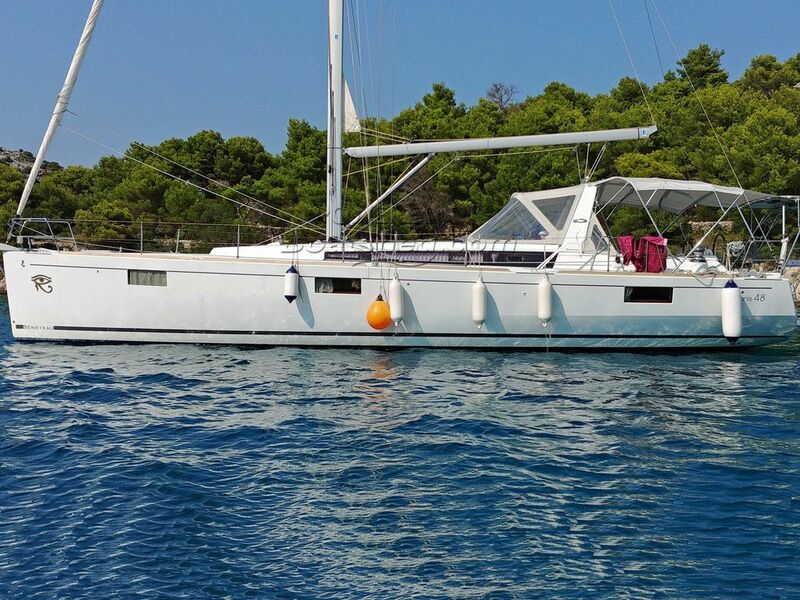 Prime example of privately owned 5 cabin, 3 head layout Beneteau Oceanis 48 in top condition. Probably the best available Oceanis 48 on the market feels like improved new yacht with generous additional equipment list and plenty original spare parts. With a beautiful and roomy cockpit and the electric, fold down transom that turns into a spacious swim platform, this Beneteau Oceanis 48 is an impressively comfortable family cruiser. The Galley is large to starboard along the hull side. Counter and storage space are generous and amenities are easily at hand. Boat exchange for a smaller 3 cabins, max 5-years old brand-name boat would be considered. This Beneteau Oceanis 48 5 Cabins Version - One Owner From New has been personally photographed and viewed by Maroje Mose of Boatshed Croatia. Click here for contact details.